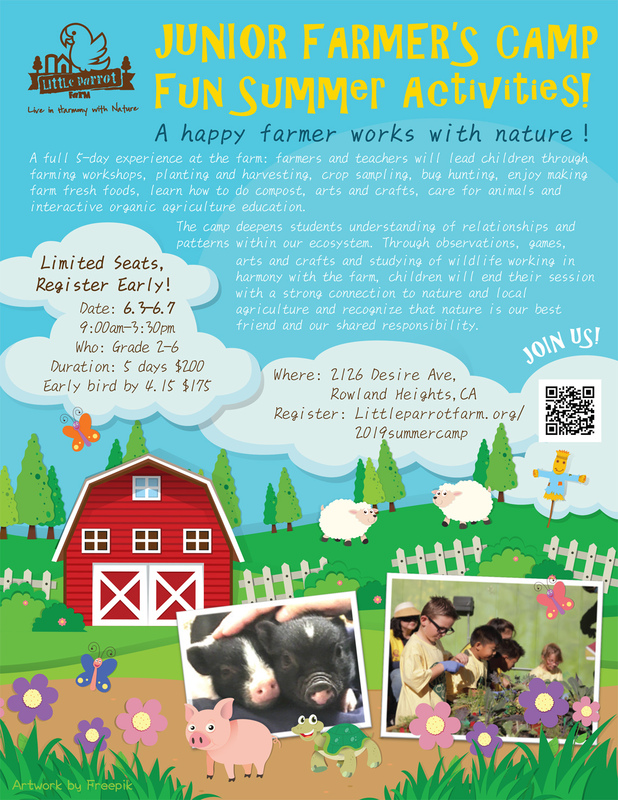 A full 5-day experience at the farm: farmers and teachers will lead children through farming workshops, planting and harvesting, crop sampling, bug hunting, enjoy making farm fresh foods, learn how to do compost, arts and crafts, care for animals and interactive organic agriculture education. The camp deepens students understanding of relationships and patterns within our ecosystem. Through observations, games, arts and crafts and studying of wildlife working in harmony with the farm, children will end their session with a strong connection to nature and local agriculture and recognize that nature is our best friend and our shared responsibility. *Every additional child receives 20% off original price, (i.e. second and third child each pays $160 for early bird) 10% off original price after 4/27. Choose Foods that are healthy for you and earth! 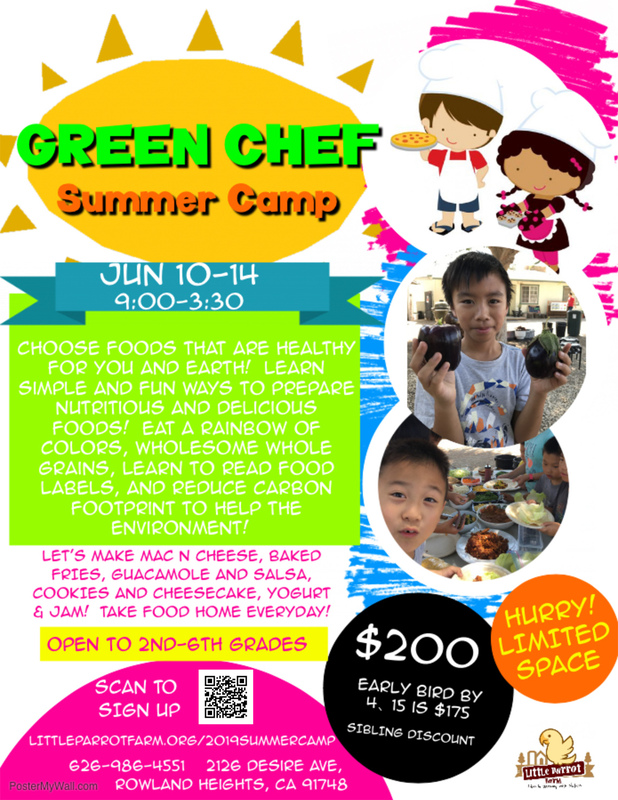 Learn Simple and fun ways to prepare nutritious and delicious foods! Reduce carbon footprint to help the environment! 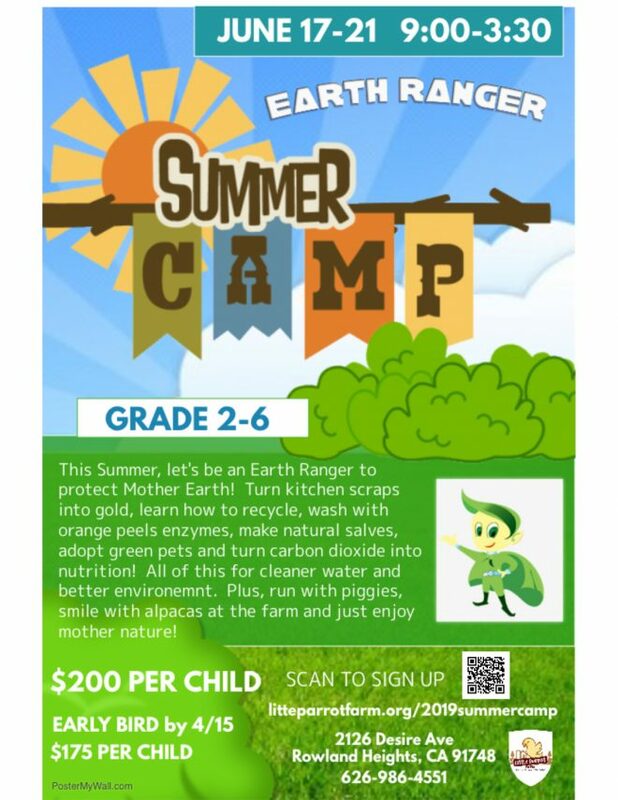 This Summer, let’s be an Earth Ranger to protect Mother Earth! Turn kitchen scraps into gold, learn how to recycle, wash with orange peels enzymes, make natural salves, adopt green pets and turn carbon dioxide into nutrition! All of this for cleaner water and better environment. Plus, run with piggies, smile with alpacas at the farm and just enjoy mother nature! Only need to fill out one application per family. Do you want to register for the 2nd child? Do you want to register for the 3rd child? Payment is required to be paid in full when sign up. Withdraws 30 days before camp can receive 100% refund. Withdraws within 30 days from camp will only receive 50% refund.